In today’s world, numbers are in the ascendancy. Societies dominated by star ratings, scores, likes and lists are rapidly emerging, as data are collected on virtually every aspect of our lives. From annual university rankings, ratings agencies and fitness tracking technologies to our credit score and health status, everything and everybody is measured and evaluated. In this important new book, Steffen Mau offers a critical analysis of this increasingly pervasive phenomenon. While the original intention behind the drive to quantify may have been to build trust and transparency, Mau shows how metrics have in fact become a form of social conditioning. The ubiquitous language of ranking and scoring has changed profoundly our perception of value and status. What is more, through quantification, our capacity for competition and comparison has expanded significantly – we can now measure ourselves against others in practically every area. The rise of quantification has created and strengthened social hierarchies, transforming qualitative differences into quantitative inequalities that play a decisive role in shaping the life chances of individuals. 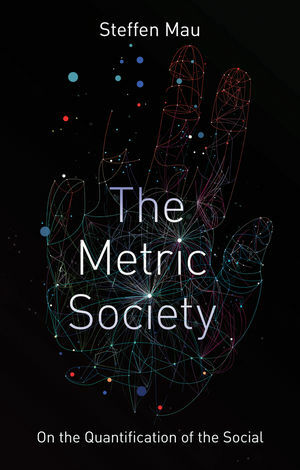 This timely analysis of the pernicious impact of quantification will appeal to students and scholars across the social sciences, as well as anyone concerned by the cult of numbers and its impact on our lives and societies today. Steffen Mau is Professor of Macrosociology at the Humboldt University of Berlin. "A timely, informative and appropriately pessimistic book."